It’s no secret that life gets hectic during the holidays. Sometimes, there just aren’t enough hours in the day to get everything done. And shopping for presents is one of the most common errands that people don’t have enough time to do. No one wants to leave a loved one empty-handed, though, which is why gift certificates make such great last-minute gift options. And you can make gift certificates to sell for your store too! So even if a customer loves your stuff but isn’t quite sure what to buy or doesn’t have time to mull it over, he or she can buy a gift certificate and give that as a present. Plus, I had one of my designers create a few different types of super useful graphics for you. One set is a variety of printable photo gift cards onto which you can upload images of your products and give them to your customers. Then, I had him make instructional graphics that you can send to customers about how gift certificates can be redeemed. And the last set is a series of graphics about how to apply coupon codes to Amazon, Etsy, eBay, and UseGearBubble. This way, your customer service work gets minimized and you won’t have to answer as many questions about the gift card redemption and coupon code application processes. With these photo gift cards, you can upload images of your products and then send them to your customers. To download these designs, just head over to Dropbox and download here. Now we’ll go over how you can create these gift cards, plus give you printable instructions for your customers. Login to your Etsy account. Click the orange “Add a new listing” button on the top right-hand side. Be sure to include the words “Gift Certificate” in the listing’s title, description, and as a tag. Make the listing for a set price (the full value of the gift certificate). Make sure your shop accepts gift certificate payments. Include all of the same information as the gift certificate itself, including its value (just don’t give away the gift certificate’s unique code). Clearly state that the gift certificate is redeemable only in your shop. Specify how an order with a remaining post-gift certificate balance is to be handled (e.g. sending the purchaser a revised PayPal invoice). Let customers know how long it will take recipients to receive their gift certificates. Your gift certificate must be a tangible item (digital, downloadable files, like PDFs, also work) — for instance, a traditional paper gift certificate, a notecard, or even something like a sticker, badge, or patch. Your gift certificate should include your shop’s unique Etsy URL. It should contain a unique, secret code that the recipient can type into the “Message to Seller” section while checking out in order to redeem the gift certificate. Gift certificates should include clear information about how they can be redeemed (see below). To redeem a gift certificate for your Etsy shop, recipients should click the “Checkout” button. Then, choose “Other” as the payment option. After this, they’ll need to message you, the seller, with their unique gift certificate code. And as the shop’s owner, you will then need to respond to the conversation by confirming the order and sending a revised PayPal invoice prior to the customer completing the order. To simplify this process, you can send customers the following graphic, which goes through the process step by step. You need to keep track of any gift certificates that are purchased from and redeemed in your shop (along with their unique codes and values). I recommend creating a Google spreadsheet. The reason for this is because sometimes when gift certificates are redeemed, the gift certificate balance doesn’t cover the total purchase cost. And in these cases, you will need to verify the gift certificate amount so you can send an updated PayPal invoice to the customer. Plastic Resource offers a ton of different designs for you to choose from. And all you have to do is select the design you want and then Plastic Resource customizes the gift certificate for your eBay store. Alternatively, you can send the company your design preferences and have the Plastic Resource team create a custom design. Custom Gift Cards also includes an image library with loads of background images onto which you can upload your store or company logo. Or, you can have the Custom Gift Cards team create a custom design specifically for your eBay store. You’re allowed to list only one gift certificate at a time during any 7-day period. You need to have the gift certificate in your possession (in order to sell electronically-delivered gift certificates, you must be approved and meet additional requirements). You may list only one gift certificate per listing. You must ship the gift certificate within five days of the purchase date. The gift certificate amount cannot exceed $500. Click the “Sell” link at the top right-hand side. Click the blue “Create a listing” button. 7. Once you finish with the details, click “List item” (NOTE: you will be charged a small listing fee). Redeeming an eBay gift certificate is a very straightforward process. 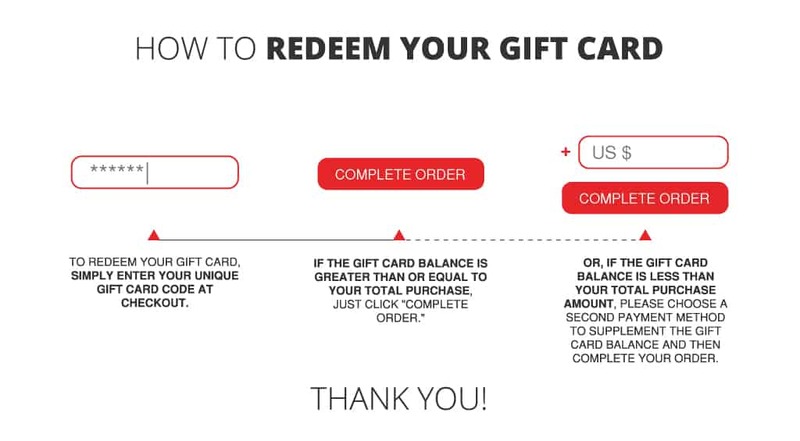 Recipients should proceed to checkout and enter their unique gift card code into the space provided and then click the “Apply” button. Or, if the gift certificate balance is less than the total amount, recipients should select an additional payment method (e.g. credit card, PayPal) and then complete their order. If you have either an Unlimited or a Professional plan, you can create gift cards with Shopify. But first, you have to activate the gift card feature. Click where it says “Products” on the left-hand side. Click the purple “Sell gift cards” button. Click the “Edit product” button. From here, you can edit the gift card amount or add a variety of attribution, pricing, and inventory fields. Once you finish editing, go back to your gift card’s “Manage” page. Choose the sales channels you want your gift card to be available on. When customers purchase gift cards made using Shopify, redemption is simple. All they have to do is enter their unique gift card code at checkout. Or, if the gift card balance is less than the total purchase amount, they’ll be prompted to choose a second payment method to supplement the gift card balance and complete their order. To use this app, you need either a “Shopify” level or a Pro Shopify account. The app comes with two versions: one is free and fully functional; the other costs $9.99/month and includes more gift card designs and features, such as the capacity to add a personalized note or your store’s logo. Both versions offer more functionality than Shopify’s default gift cards. You can also start with a free trial. Shopkeeper lets users create customized gift cards using the app’s virtual gift card layout. And there are hundreds of designs for a variety of occasions, including Christmas and Hanukkah, birthdays, anniversaries, weddings, and more, to choose from. Also, the app doesn’t take a cut of any of the gift cards you sell, nor are your customers charged any convenience or processing fees. Shopkeeper is simple to install. Then, you just create your gift cards to sell and add two extra links to your gift card product page template. Unfortunately, Amazon doesn’t allow sellers to create gift cards to sell for their seller accounts. What you can do, however, is create discount codes to give to shoppers (you can also do this with Etsy, eBay, and UseGearBubble). I actually wrote about how to do this a few weeks ago. To help your customers easily apply their coupon codes (and minimize the number of related support questions you receive), you’ll find three instructional graphics below that you can send along with the coupons. I really hope you found this post useful! Let me know what you think by leaving a comment below. Thank you!